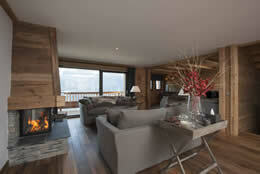 In time for the 2014 skiing season, MBA completed the construction of a new 5 bedroom ski chalet. 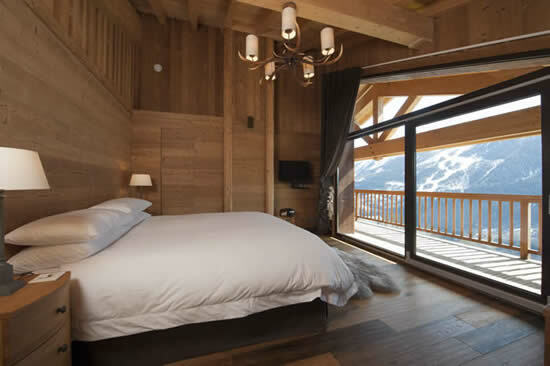 Located in Sainte Foy, near to Val d’isere, France, this luxurious chalet provides 2,800 sq. ft. of living space. 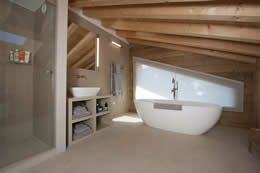 The chalet extends over three floors, and features a subterranean garage and locker room. The panoramic views across the valley to the resort of Les Arc were exploited by maximising the glazing on the south elevation. Natural materials in the form of dry stone walling and timber floors bring warmth and elegance while still providing a hint of tradition to this otherwise contemporary interior. Externally, the design exploits the fall of the land and maintains the traditional Savoie region Chalet style with extensive use of timber and stone.